Having completed many roofing projects and roofing services for Eastland County, Texas, we understand how to handle and manage every kind of roofing situation. Whether you have a roof leak, roof repair, or re-roof, our contractors will help you from beginning to end. Big S Company operates for residential roofing and commercial roofing in Eastland. Your property deserves the best materials and craftsmanship available! We use only top quality materials, backed by the best manufacturers’ warranties and installed by professional craftsmen! We adhere to residential code with every roof installation to ensure the safety of every building and structure. Combining high quality roofing materials (such as Owens Corning™ roofing products, GAF shingles, Tamko® building products) with approved roof coverings, roofing flashes, crickets and saddles for our Eastland roofing installations, we can deliver long-lasting, weather resistant roofs to our Eastland, TX customers. 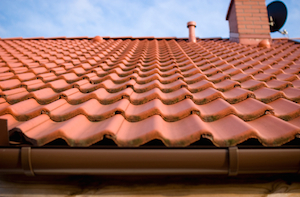 Eastland Roofing installs all types of roofs, including metal roofs, wood and cedar, and shingles, and combination. Contact us today for a free inspection for your home improvement in Eastland! Big “S” Company will warrant all paid-in-full roof replacements for a period of 10 Years from date of completion against leaks due to workmanship or any roof failure proven to be the result of inferior or inadequate application methods. We further warrant that roof work will be performed as agreed and application of all roof components and materials will be carried out as detailed in the proposal and according to accepted standards of application.